Bill Dodson passed away Wednesday, January 30, 2019 after an extended illness. Bill’s wishes were to be cremated and there will be a private family service at a later date. Bill was born June 8, 1938. He grew up in Purcell, Oklahoma and graduated from Noble High School in 1956. Bill worked from age 11 to 18 on a farm to help support his family. After high school, he joined the Air Force and was stationed in Crete, Greece. Bill had a passion for basketball. He played competitively through high school. In the Air Force (1957-1961), he was appointed to the point guard position and traveled to the European Championships. He played his way through Spain, Italy, France, Tripoli, Turkey, Athens, and Germany. Bill also had a passion for his cars. His early career was in the computer industry, and later in real estate with Mike Bowman Century 21 and Bransom Homes. Bill was a natural-born salesman and excelled in any job he took on. After retirement he enjoyed going on cruises, living in the beautiful Appalachian Mountains, and spoiling his dogs. He always said his biggest accomplishment was his three self-proclaimed Daddy’s girls. There was never a more loving, loyal, and dedicated Father. Many would describe Bill as happy, honorable, humble, persevering, strong, giving, funny, proud, but most of all loving. He will be missed more than words can say. 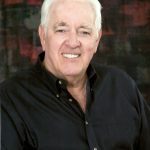 Bill was preceded in death by his former wife and mother of his children, Donna Jean (King); their son, Jeffery Wayne Dodson; parents, Eunice (Williams) Champion and Virgil Dodson; and sisters, Shirley Plumlee and Marie Blood. Survived by his wife, Kay Godbey; brother, Roy Dodson and wife, Ginny of Guthrie, Oklahoma; daughters, Debbie Skiles of Saginaw, Deanna and husband, Dustin Self of Carrollton, and Lisa and husband, Dr. James T. Park of Fort Worth; grandchildren, Jamie and husband, John David Cunningham, Jeffery Young, Jennifer Womack, Michelle and husband, Brandon Stowers, Blake Dwyer, Hailey and Ashlynn Gibson, Caden Park, and Dani and Lane Self; great-grandchildren, Alexis Womack, Haydyn Gibson, Zaidyn Dwyer, and Caleb, Elijah, Anna Grace, Seth, Jesse, and Cora Cunningham. Bill gained a bonus family through wife Kay, which includes her daughters, Tammy Denise and husband, Randy James of Godley, and Shelly and husband, Ralph Klein of Fort Worth; grandchildren, Audie Black and partner Catreana, Brian Bird, Sara Klein, Chris and Sean Klein; great-grandson, Coleton Black; sister-in-law Glenda Godbey and brother-in-law Bob Godbey. Was sorry to hear about your family's loss. I worked for Bill many years after i got home from Vietnam. He gave me my first computer job.He will be missed by all and loved by many. Rest in peace Bill.Love you..
My condolences to Mr. Dodson's family. And many happy memories of him be with you all. But when sadness comes, may these promises from Jehovah God help you to endure. "Do not be anxious over anything, but in everything by prayer and supplication along with thanksgiving, let your petitions be made known to God; and the peace of God that surpasses all understanding will guard your hearts and your mental powers by means of Christ Jesus." Philippians 4:6-7; Isaiah 25:8 NWT. Paw Paw Bill you were special to my children and to me and my sister Denise. Thank you for loving our mother, Kay. You are missed. God speed. RIP. Godspeed Bill. I am so sorry that you are gone. You were a great agent at our office and a great friend. You and I shared lots of memories together. Keep the cards handy, one day we will get to sit down and play some pinochle together again my friend. My prayers are with all of the family.